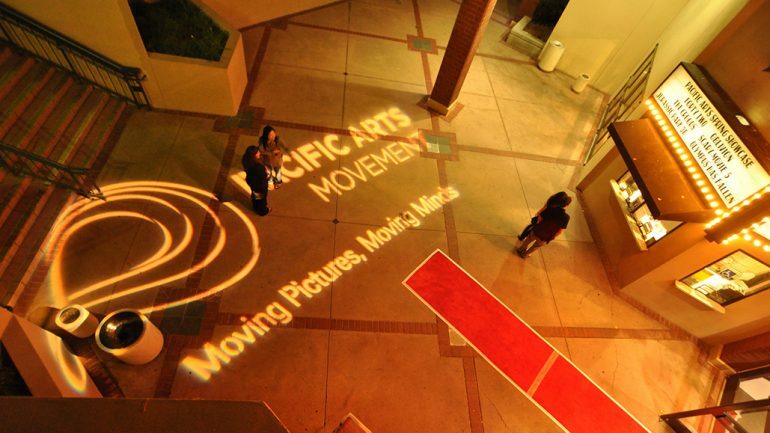 Pacific Arts Movement (Pac Arts) is one of the largest media arts organizations in North America that focuses on Asian American and Asian international cinema. Our mission is to present Pan Asian media arts to San Diego residents and visitors in order to inspire, entertain, and support a more compassionate society. Pac Arts is committed to sharing powerful stories with audiences year-round through the San Diego Asian Film Festival, Spring Showcase, Spotlight Screenings, and Outdoor Screenings, and Film Forums. From our award-winning high school documentary program Reel Voices to Youth Days at the festival, we are also dedicated to educating and nurturing a new generation of creative leaders and storytellers. Spring Showcase: Coming April 2018, an 8-day presentation of the best of Asian and Asian American cinema on the other side of the calendar year. Youth Days: Two free days of youth-oriented film screenings to culturally educate, enlighten, and enhance local students’ film literacy skills. Reel Voices: A 10-week summer documentary program training local high school students to become socially conscious digital storytellers. Reel Voices Monarch is a year-long collaboration between Reel Voices and Monarch School that empowers homeless students to tell their stories and those of the community through digital storytelling. Spotlight & Outdoor Screenings: Pac Arts presents year-round film programs such as Spotlight and Outdoor Screenings throughout San Diego County. For more information about Pac Arts, visit the organization’s website here.